A few weeks ago my cousin told me that there had been some thought that maybe I was never supposed to be born. She didn’t put it exactly like that. She said that her mother was under the impression that my mother (who was physically ill) was not supposed to have any more children after she had my brother. But my mother had me anyway. Christmas can get you thinking about how hard it can be sometimes to make it into this world. Today’s collage is taken from one such story. Brilliant work. This is a very intriguing piece. 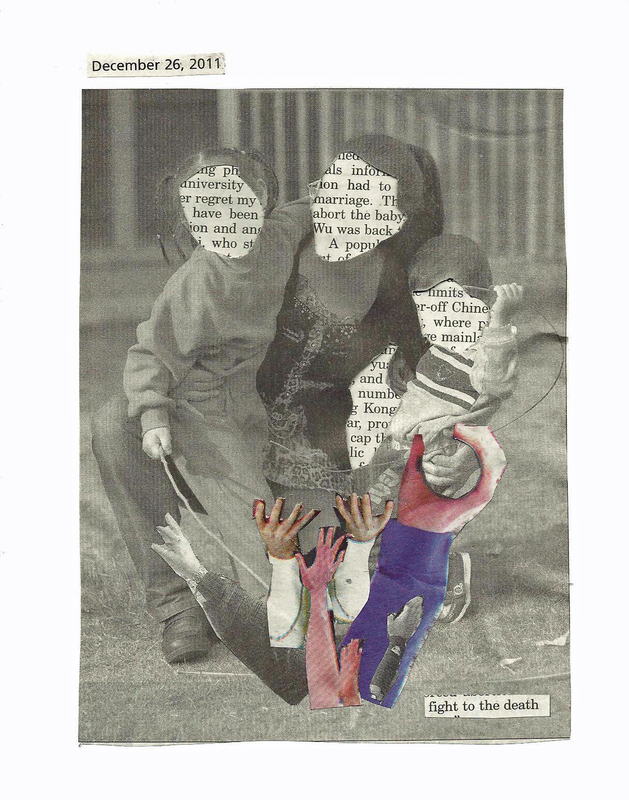 This entry was posted on December 26, 2011 by AK in 365 Days of Print, alaska, art, collage, Fairbanks and tagged 365 days of print, alaska, art, collage, community, daily news miner, Fairbanks, love, mother.